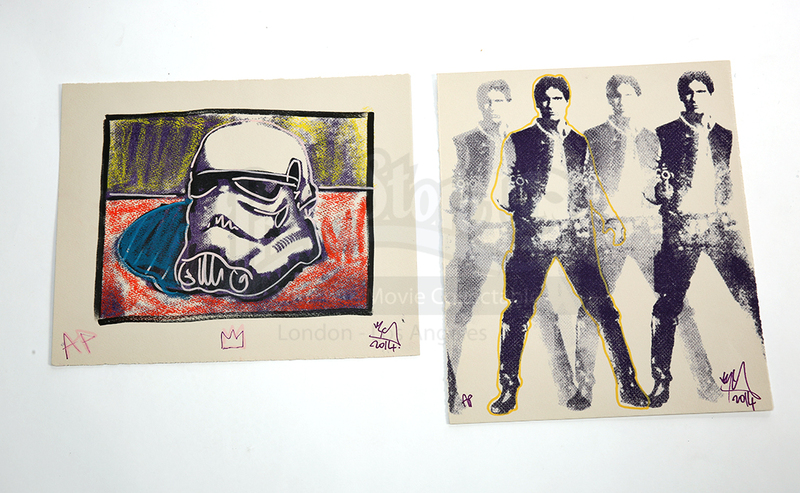 Stormtrooper and Han Solo artist proofs made by printmaking and graphics artist RYCA. RYCA's, or Ryan Callanan, work is known for his signature concept of cross reference by creating familiar pieces in a new context. One pieces portrays Han Solo with his blaster in a double vision visual and the other features a Stormtrooper helmet on a colorful background. 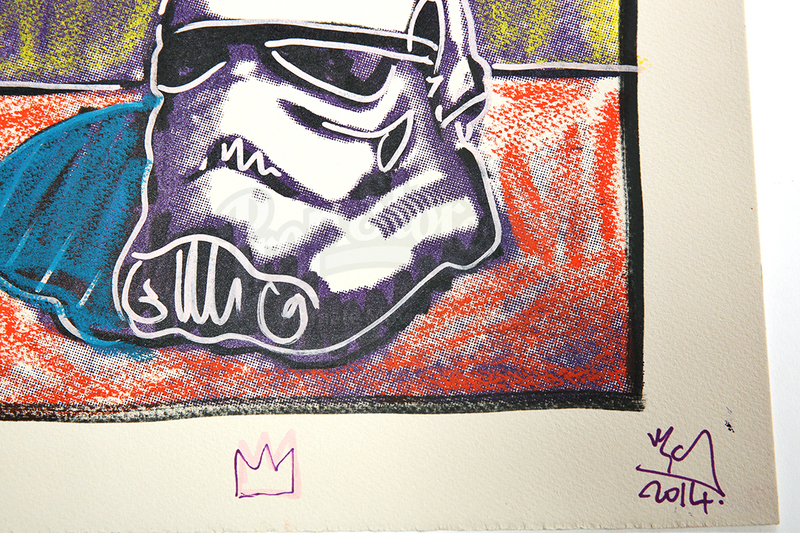 Each piece is signed by the artist and dated 2014. 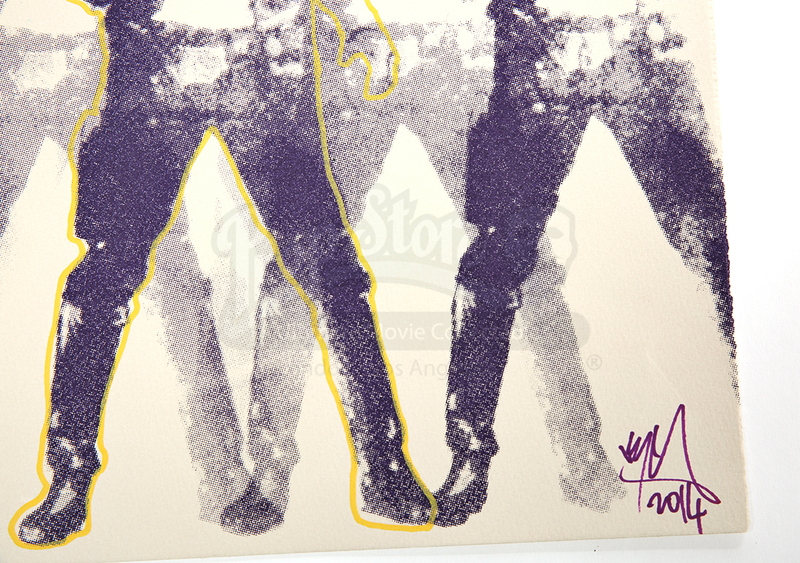 The letters 'AP' are also written on the left corner of each, signifying them as artist proofs. 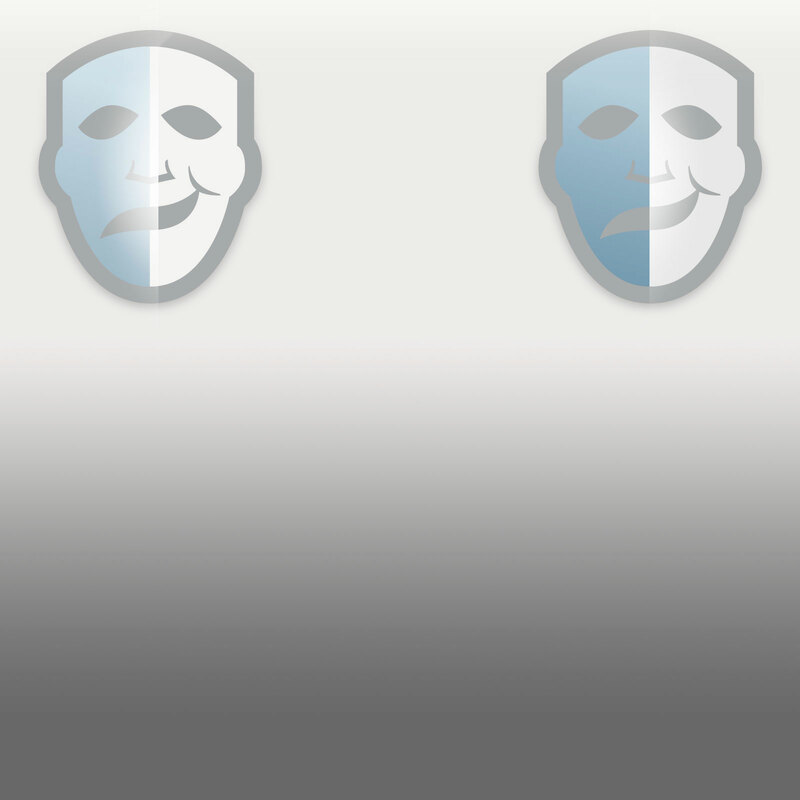 Both show minimal signs of wear from age and remain in overall great condition.